When sailing offshore, it’s important to know that everyone’s getting the right fuel. Emma Westmacott talks nutrition for that winning ingredient- you and your crew. 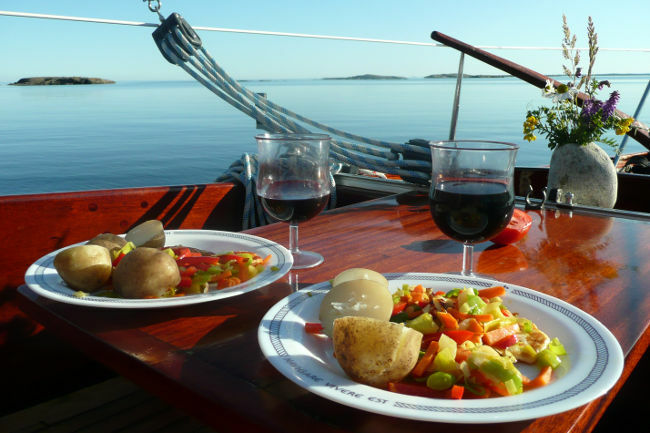 What to eat when sailing offshoreWhat do we think about when sailing offshore? Where is the opposition? How fast are we going and is it the right direction? What we are going to have for dinner? Offshore sailing is about people: they are the engine of the boat, they trim the sails and their energy and desire is what makes one boat win and one lose. In order to be on top of their game the people need good rest and good fuel. For every one per cent drop in body weight through dehydration you get a five per cent drop in performance. If body weight drops by five per cent through dehydration there is a 20-30 per cent drop in performance. So if a 75kg person loses 0.75kg (0.75 litres through sweat), his or her maximum power level will drop. On a bicycle this would equal a drop from a maximal level of 300 watts to 285. Races are won by margins smaller than that. A drop of five per cent is equal to 3.75 litres – from 300 watts down to 210- 240. This is huge. Dehydration also puts a strain on your heart due to the fact that your blood is thicker. So it is important that the fluids on board are drinkable. Rehydration occurs when the fluid you are drinking is less concentrated than that of your body cells. Consuming food and drink loaded with sugar and salt actually draws water from your cells and dehydrates you. So make sure desalinated water tastes pleasant and is not too salty. Coke, Red Bull or badly mixed energy drinks are far too high in sugar. When eating high-energy bars and gels it is important to drink water at the same time. 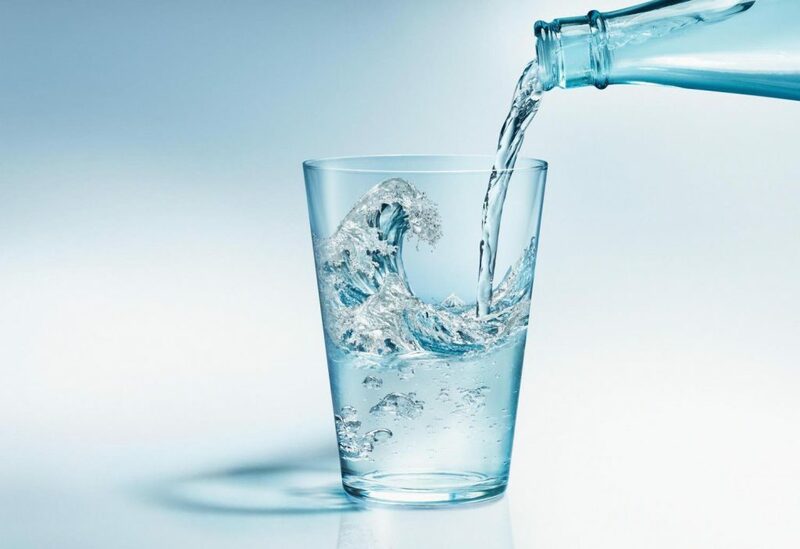 Too little water will result in cramps as fluids leave your muscles to digest the concentrate. What to eat when sailing offshorePizza, chips, crisps… Why do people think that take-away and fast-food is a good idea on board? Offshore sailing is no different from working out or exercising in any other sport – would you run a marathon after eating a pizza? You would experience cramps as your body tries to digest the fat. You need carbohydrate for energy. Simple vegetables are a slow-release balanced form of long-term energy. This is what freeze-dried food was invented for; aside from being lighter to carry it can be well balanced. 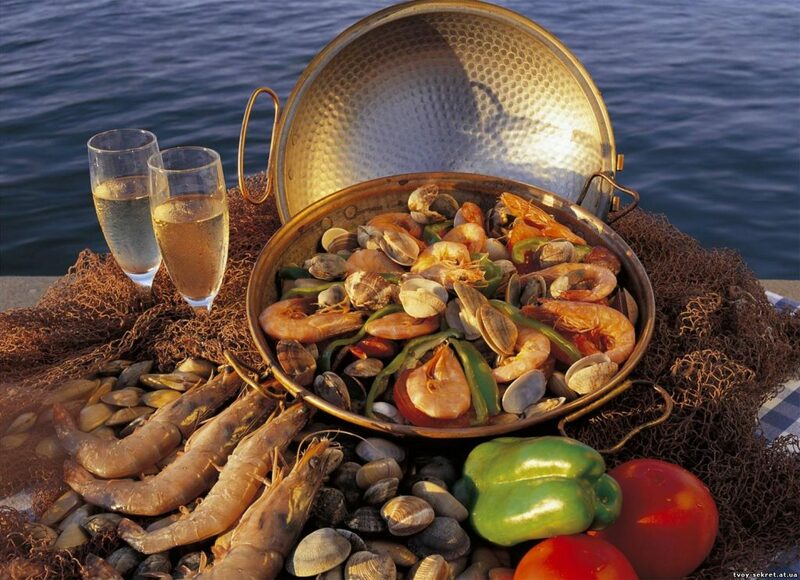 If more energy is needed than the freeze-dried can supply, add wholemeal pasta or rice, which travels well on a boat. It is important to remember that whatever carbohydrate is not used as energy will be stored as fat, so do the sums. A general rule of thumb is 1g of carbohydrate per kg of ideal body weight per hour of exercise. You also need to rebuild your muscle and the cells that you have used through the day – so you need to eat protein, such as low-fat lean meat. Provision for 0.5-1.5g of protein per kg of ideal body weight. Do some homework about your nutrition – take responsibility for your own weight and life. If you have a dog, you feed it the correct amount to maintain a healthy weight for its breed and size. The instructions are on the back of the packet from the supermarket. Humans should (but usually don’t) eat using roughly the same formula. How many calories have you burnt today? That is the amount you should eat for energy and to maintain your ideal weight. Proper meals are so important when out racing yet the required planning and preparation often get the least attention ashore.